Keep rattlesnakes in their place. If you live in Arizona, rattlesnakes are a part of life. 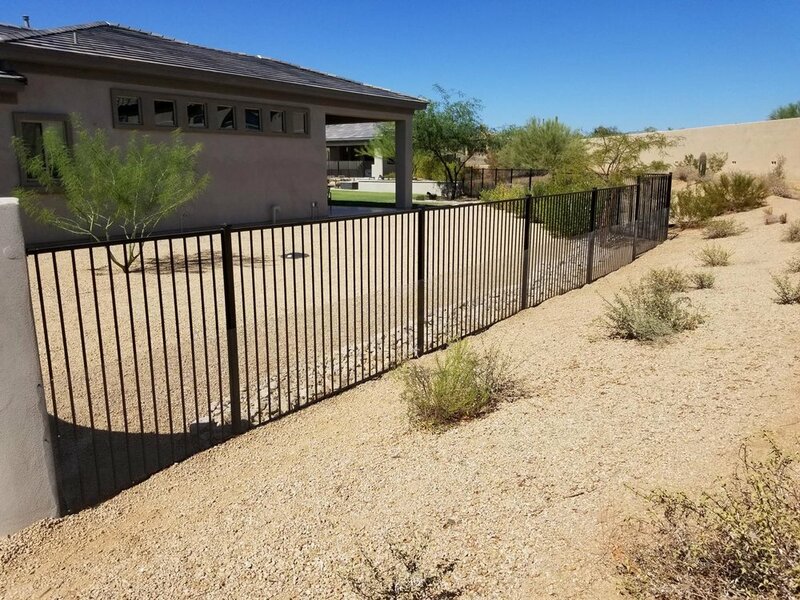 With a professionally installed snake fence from a team of rattlesnake experts, they don't have to be a part of yours. Rattlesnake Solutions has developed a rattlesnake prevention system from the ground up, based on science and the natural behavior of rattlesnakes. We can help you create a safe area where family and pets can live safely without the worry of an unwanted rattlesnake encounter. We're licensed by the state of Arizona (ROC 321123 CR14) and by the Arizona Game and Fish Department for Wildlife Services. Don't trust the protection of your property to the local discount handyman or to contractors who don't know a thing about rattlesnakes. Safety is important – we have the expertise to safely snake proof any commercial or residential property and the track record to prove it. I contacted Rattlesnake Solutions for snake fencing. I talked to Eric and he gave me a quote over the phone. After waiting 2 weeks for our HOA's approval, Mike showed up and went straight work prepping for fence installation. it was 112 degrees and Mike never slowed down. 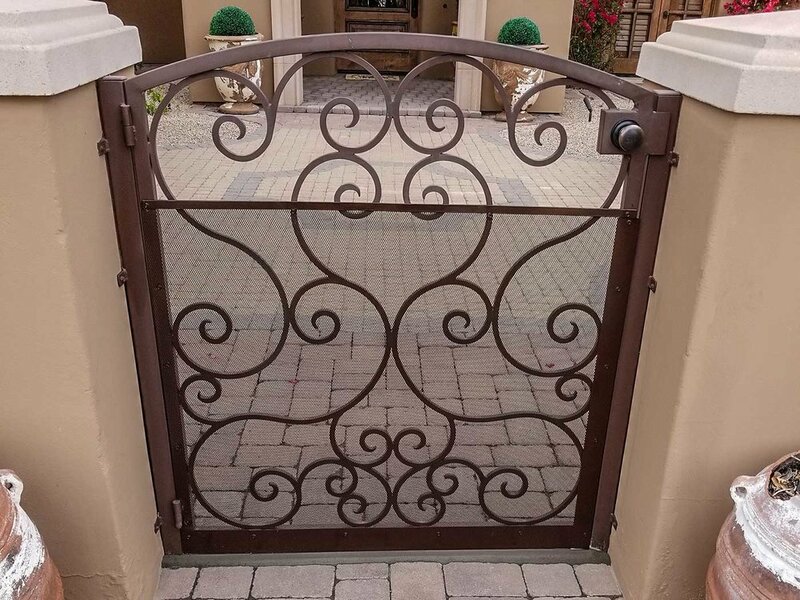 My wife and I were extremely impressed with his workmanship and dedication, making sure we were happy with the installation before leaving. I highly recommend Rattlesnake Solutions for all of your rattlesnake fencing. Thanks Eric and Mike. Rattlesnake Solutions provided excellent fencing for my back yard, including using a well thought out plan to allow for drainage without giving snakes access to my yard. Nick, the person who came to give an estimate, was very through and pleasant. He came on time and explained everything well. Mike, the installer, was also on time and worked very hard all day to get the job done. He was knowlegeable about snakes and other desert animals and interesting to talk to. I highly recommend this business. Based on science and developed by snake researchers. Snake fence design built on rattlesnake science. We're not just snake fence installers – Rattlesnake Solutions is a team of rattlesnake experts, herpetologists, biologists, educators, and people that really know a lot about snakes! This knowledge is built into how we snake proof a property, from understanding why the snakes may want to be there, to how they move, climb, and act throughout the year. We're not just guessing, everything we do is based on all available research and thousands of hours in the field observing wild rattlesnakes. A history of rattlesnake expertise. Rattlesnake Solutions began in 2010 in Phoenix, Arizona by amateur herpetologist Bryan D. Hughes with one goal in mind: keep rattlesnakes away from people, for their benefit and ours. The rattlesnake removal and relocation business grew quickly in the most rattlesnake-diverse and quickly growing area in the country, and has since captured and relocated over 5,000 rattlesnakes from the homes and businesses of Arizona residents. Rattlesnake Solutions data has been published in scientific journals and is maintained as the largest collection of urban snake conflict information in the world. Ready to talk to a rattlesnake expert?